New York Assembly Democrats left no doubt as to where their loyalties lie this week. Last week, Democrats approved a state budget that would allocate $27 million in aid to illegal immigrants who wish to attend college. But when Republicans tried to expand that aid for the children of dead or disabled military veterans? 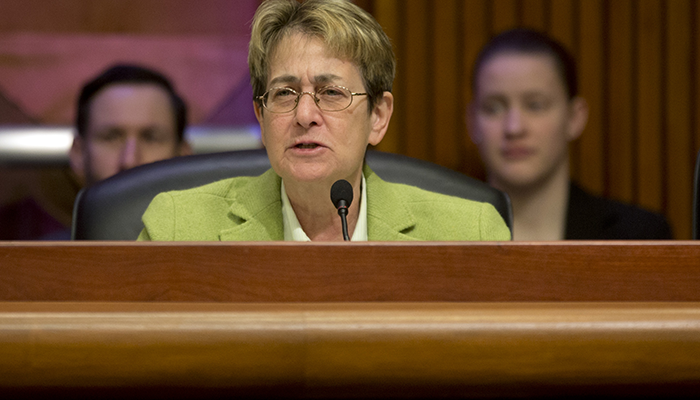 The Higher Education Committee, led by Manhattan Democrat Deborah Glick, blocked the bill, effectively telling voters that it is more important to give tuition aid to illegal aliens than to the families of those who have given their lives for our nation. Her committee voted 15 to 11 to put the bill on ice, forever cementing the Democrats’ warped view of their priorities. According to the New York Post, Glick lamely insisted that there was no futher money in the budget to help Gold Star families send their kids to college. After all, there’s already a “program that provides $2.7 million to 145” such families. Wonderful. Illegal immigrants only get ten times more assistance from the New York state legislature. That sounds right, eh? Apparently getting a sense of how this situation looks, one Democratic assemblywoman decided to vote for the bill. Judy Griffin said she thinks Democrats will take a closer look at the proposal when the budget comes up for a vote again next year. As far as we can see, there would have been no problem finding money in the budget had you not just wasted all of it sending illegal immigrants to college. Maybe if you shift your mindset on exactly what the taxpayers should be funding, you wouldn’t find yourself with a “tough budget” that forces you to embarrass yourselves on a national stage.